120 Serving Entrée Only Grab-and-Go Food Kit | BUDK.com - Knives & Swords At The Lowest Prices! The Wise Company's new formula features lower sodium and lower trans fat recipes and the same great taste you've come to love. 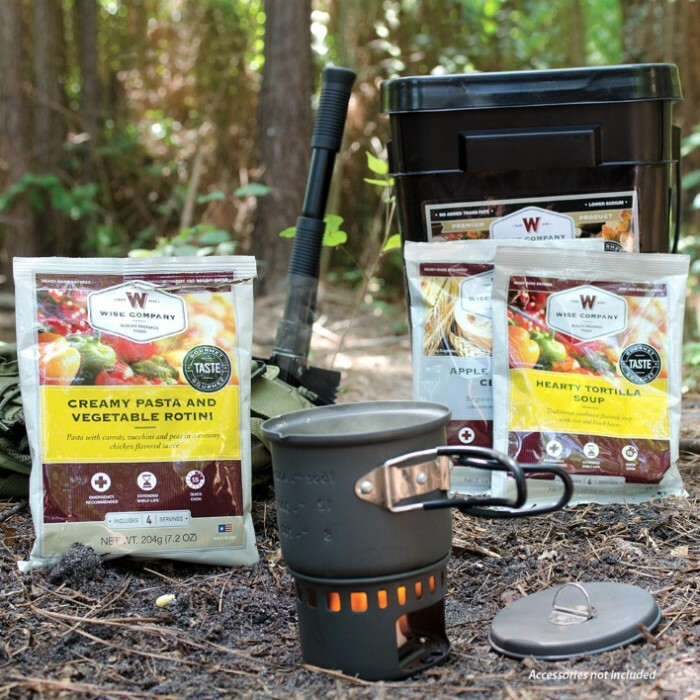 Their entree items are great for on the go, hiking, camping or hunting. 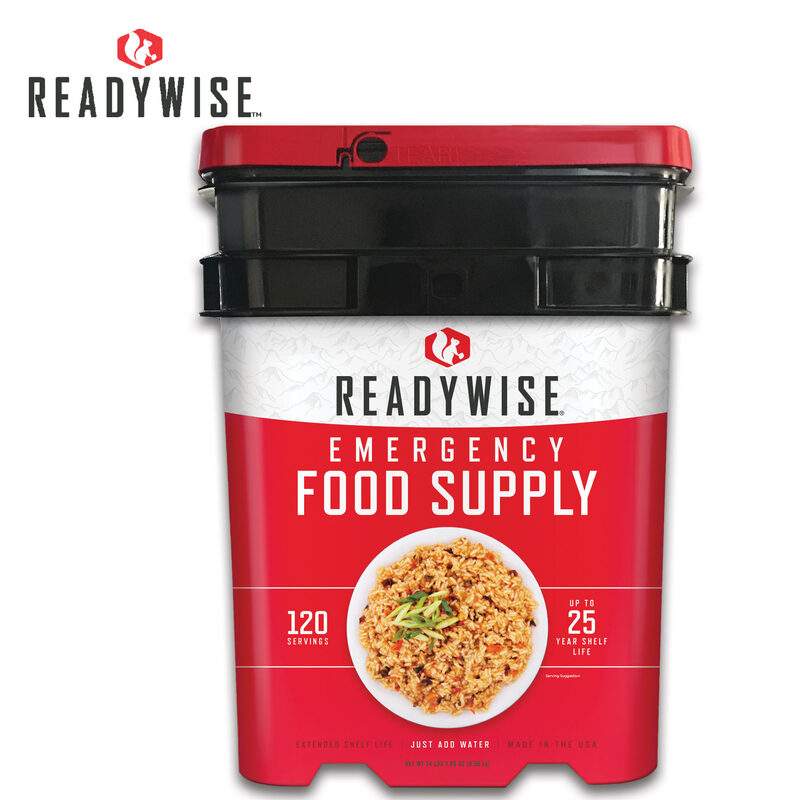 This Grab and Go Bucket features 120 servings of an assortment of entree items. 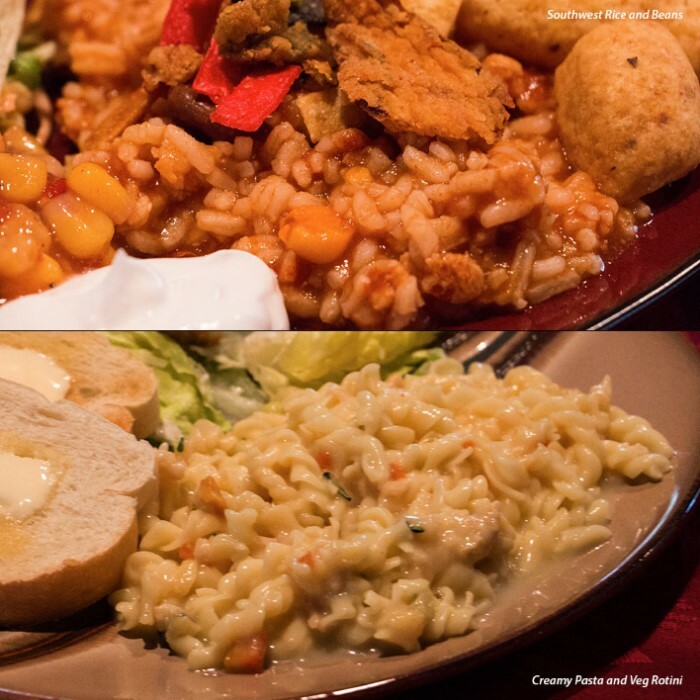 The delicious items included are Cheesy Lasagna, Creamy Pasta and Veggie Rotini, Savory Stroganoff, Cheesy Macaroni, Hearty Tortilla Soup, Potatoes and Chicken Flavored Pot Pie, Pasta Alfredo, Chili Macaroni, Teriyaki and Rice, Loaded Baked Potato Casserole, Tomato Basil Soup with Pasta, Chicken Flavored Noodle Soup and Southwest Rice and Beans.